Wer an der SharePoint Europe im Frühjahr 2013 sprechen möchte, kann ab sofort am Call for Speakers / Papers teilnehmen. Der Call dauert bis zum 30. April 2012. 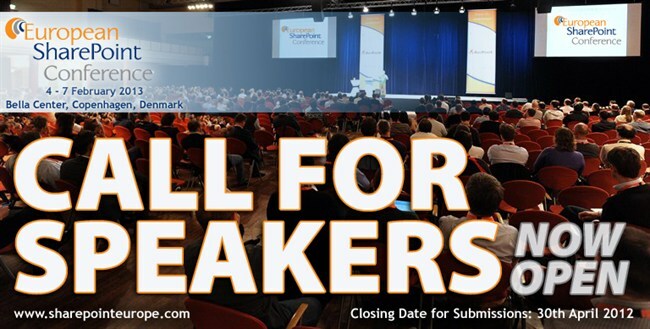 We are delighted to announce the opening of our call for speaker submissions. The 2013 conference in Copenhagen will be a fantastic opportunity to exchange knowledge and learn from others about SharePoint – the business collaboration platform for enterprise and the internet.